Even if you haven't researched houses to visit yet, it can be valuable to contact your mortgage professional early. Why? It gives a potential buyer the ability to negotiate with the understanding of how much can be afforded. 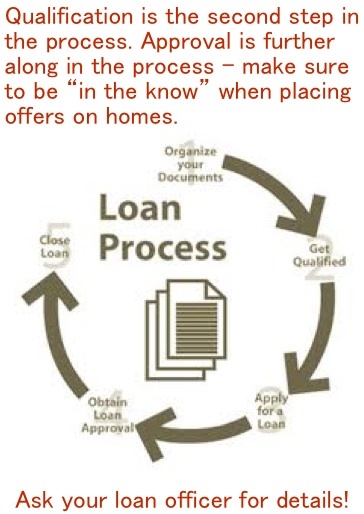 Establish a ceiling to your loan amount & monthly payments, then, negotiate from there! When we pre-qualify you, we help you decide how much of a monthly payment you can fit in your budget, and how much of a loan you can obtain. The process outlines your financial situation - your debt, income, career, and cash available for down payment...among other things. It is a quick, thorough process with minimal risks for papercuts! In order to be able to view properties with a licensed agent, with the ability to make offers, you will need a Pre-Approval letter. Simply by providing us with supporting documentation to our calculations, we can draft this letter and get you on your way to home shopping! For those who are refinancing, the next steps are even easier. When you locate a house that is ideal for you, and you want to make an offer, being pre-qualified for a loan will do a number of things. The first is that you'll know what you will be able to afford when calculating the offer. It will help in your negotiations and your Realtor can show you options that fit into your budget. This saves you time and time is money!